The Dam Trip Starts at the very bottom of Clarks Hill Lake. Customers enter the river and get an up close look at the 1100 ft wide and 200 ft tall J. Strom Thurmond Dam. 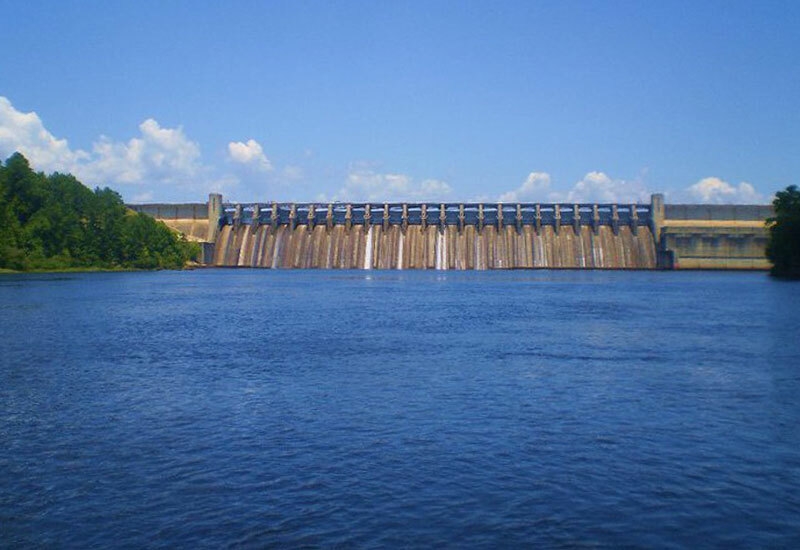 The dam was built by the U.S. Army Corps of Engineers between 1946-1954 for the purpose of flood control, hydroelectricity and downstream navigation. This route is longer than most and is advised to do in the afternoon for current purposes. The first half of the trip you spend on the main channel paddling downstream. Before you know it you are at the mouth of Betty’s Branch for the second half. This trip takes approximately 4 hours. CWT DOES NOT OFFER SHUTTLES so guests must first park a car at the finish line before meeting us at the starting line.